Originally published in 1865, Alice's Adventures in Wonderland is one of the best-known and most popular works of English-language fiction. The story centers on Alice, a young girl who falls asleep in a meadow and dreams that she follows a White Rabbit down a rabbit hole. She has many wondrous, often bizarre adventures with thoroughly illogical and very strange creatures. Often changing size unexpectedly (she grows as tall as a house and shrinks to three inches), Alice encounters such characters as the March Hare, the Cheshire Cat, the Duchess, the Mad Hatter, the Mock Turtle, and the Red Queen. 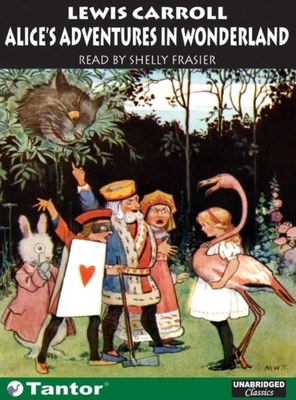 Alice's Adventures in Wonderland is a classic that is beloved by listeners of all ages.